What can I say about these two? They are clearly crazy about each other; they were heating up this gloomy and rainy day with all their fierceness. 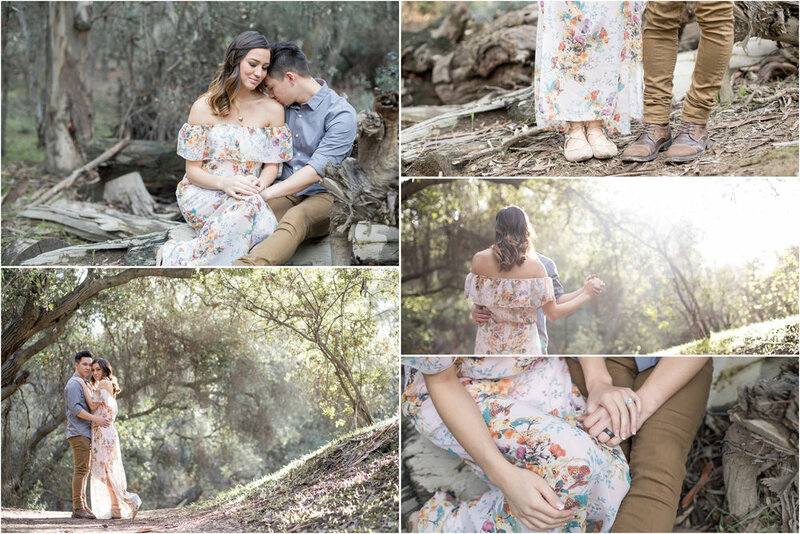 This session was completely dreamy; with lots of light peeping through the clouds and trees, casting just a touch of magic on this young love. And this dress...what can I say about this dress? It was elegant and simple and brought so much movement to their photos. It catches your eye and is simply stunning on miss Kristen. Great job girl. You can never go wrong with a long maxi dress; It flatters every figure. This one was from Ross, so clearly you know you don't have to spend tons of money to get this look. Sean and Kristen are expecting their first baby this year. Kristen called me wanting photos of her and her husband as a farewell to being just the two of them, as they looked forward to their next adventure as a family of three. I think its so important, whether you have kids in the house or not, to get photos done of you and your love. Most couples get the obligatory engagement and wedding photos done.....but wheres the love? Where are the "heck-yes-we-survived-7-years-of-marriage" photos? I think your journey should be captured at every stage and every once in awhile you should plan sessions without the kids. It gives you a chance to look back and remember how it all started. Want a session of just you and your love? No occasion necessary. Email me and we will get something on the books that is perfect for you and highlights you and your person.